Rabies offers a complete account of one of the oldest known diseases threatening public health today. 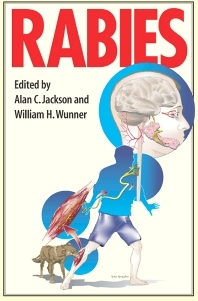 Unlike most research-oriented descriptions of rabies, this book provides a narrative about the disease and its etiologic agent, encompassing the historical background to recent developments. The emphasis on the basic biology and molecular virology of the disease is intended to convey an understanding of the underlying mechanisms involved in the disease - essential information for diagnosis and prevention strategies. Current methods used in defining geographic origins and animal species of rabies viruses in wildlife are presented, along with diagnostic methods for identifying the strain of virus based on its genomic sequence and antigenic structure. The latest approved methods for controlling rabies in wildlife species are also covered. This account of rabies will interest clinicians, public health advisors, epidemiologists, research scientists, and anyone involved in diagnosing, treating, controlling, and preventing this disease. Veterinarians, biomedical researchers, microbiologists, epidemiologists, and public health officials. History. Rabies Virus. Molecular Epidemiology. Epidemiology. Animal Rabies. Human Disease. Pathogenesis. Pathology. Diagnostic Evaluation. Immunology. Vaccines. Public Health Management of Humans at Risk. Control of Dog Rabies. Rabies Control in Wildlife. Future Developments and Challenges. Dr. Jackson is Professor of Medicine (Neurology) and of Medical Microbiology and also Head of the Section of Neurology at University of Manitoba in Winnipeg, Manitoba, Canada. He graduated from Queen’s University with BA and MD degrees. He completed an internship in internal medicine at University of Southern California, residencies in internal medicine at Queen’s University and in neurology at the University of Western Ontario, and a fellowship in neurovirology at The Johns Hopkins University with Drs. Richard Johnson and Diane Griffin. Dr. Jackson held a faculty position at Queen’s University from 1987 - 2007. He is on the Editorial Boards of the Journal of NeuroVirology and the Canadian Journal of Neurological Sciences. He is President of Rabies in the Americas, Inc. and is on the Board of Directors of the International Society for Neurovirology. Dr. Jackson is the principal investigator on research grants to study experimental aspects of rabies. The Wistar Institute, Philadelphia, Pennsylvania, U.S.A.